A scrapbook of Music, Video and Pictures with some interesting or fun stuff. 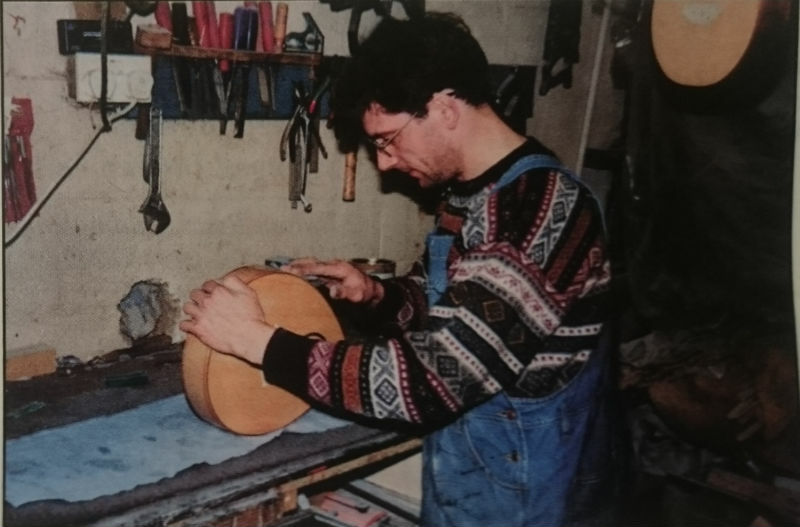 Back around 1997 I was paid a visit by a customer looking to commission a harp. 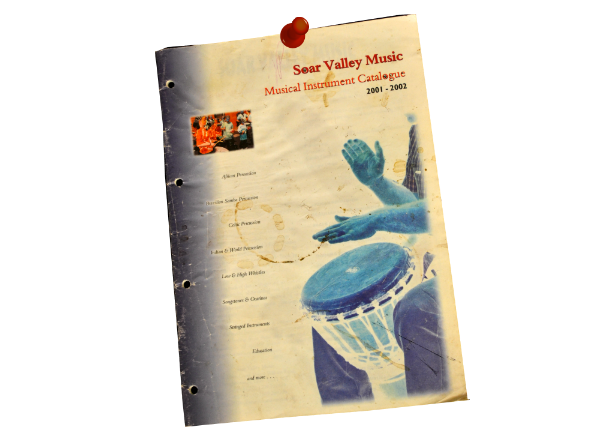 Turns out he was the director of soar valley music, a U.K distribution company, mainly dealing with percussion. 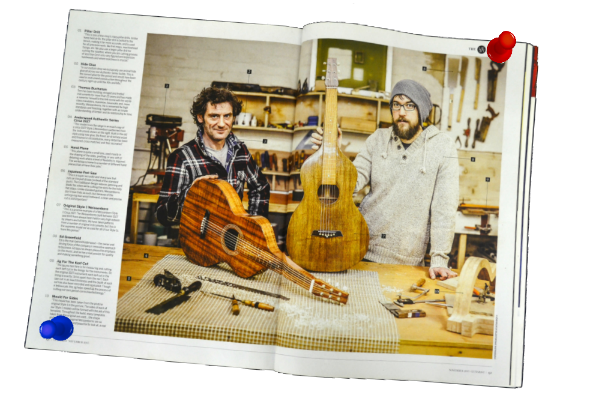 It was at this meeting we first put forward the idea of building a range of unique design mandolin family instruments. 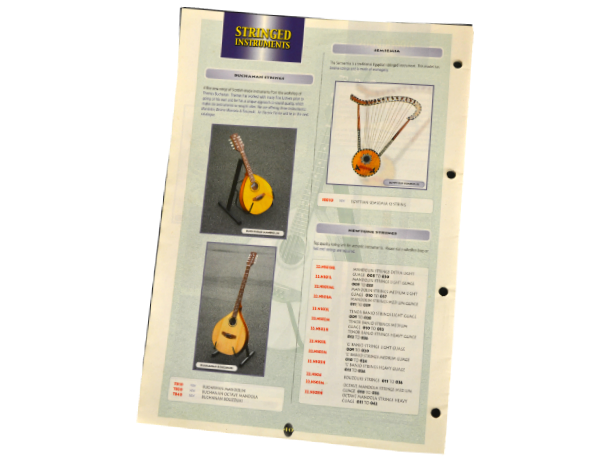 At that time mandolins were fairly rare in music shops and a lot of what there was, was of poor quality. They were to be designed to play and sound great without making a big hole in your pocket. 1998 Brendan O'Regan saw one of my instruments in a shop window in Ireland . At the time he was with Martin Stephenson, who I had met since moving to the highlands . He gave him my number and I sent him an instrument. I was delighted to hear it featured on this track with Sharon Shannon, John prine and Mary Staunton. 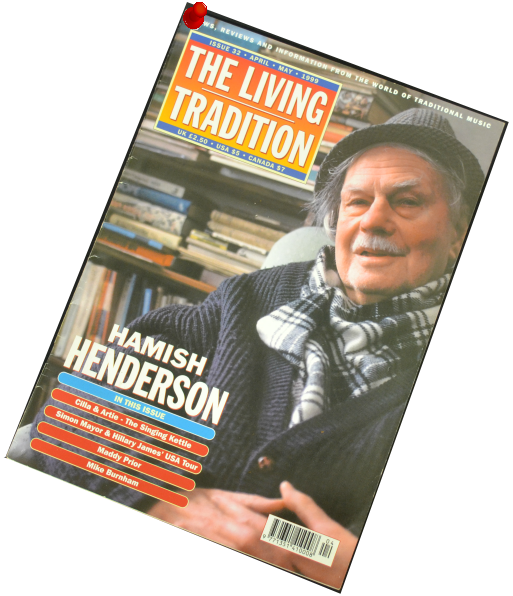 A picture of myself taken in 1998 for an article written by Steve McGrail in The Living Tradition. I'm working from my fathers workshop in Alness in the Scottish highlands. I was later to find a workshop at the edge of town in Inverness. Another early recording of a mandolin . Played by top highland fiddler Adam Sutherland. Whilst living in Inverness I would, occasionally on a Sunday meet up in town with Adam and a few other folk we knew, to relax with a little light refreshment. He is a truly talented guy. I moved to West Yorkshire in 2006 where I started work with The music room. I felt quite welcome when Yorkshire living published an article. 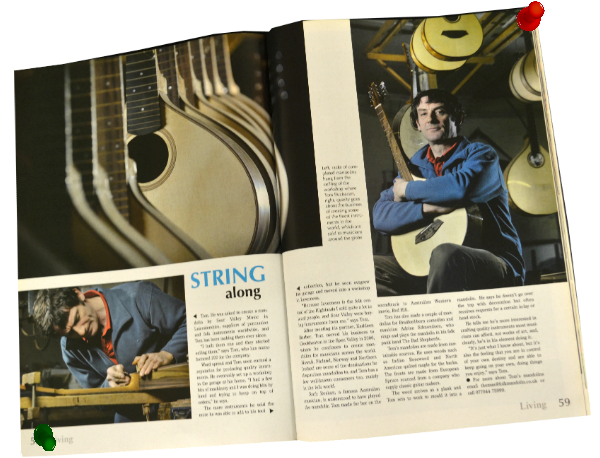 Tom Wright lives in America and has commissioned a few of my 10 string mandolins over the years. He plays in different styles and is a fabulous musician. I will post more of him later. Enjoy. 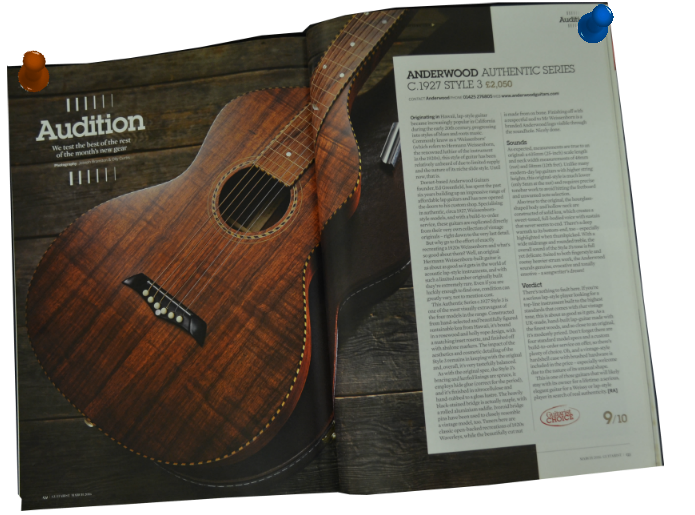 A few years back I met Ed Greenfield, director at Anderwood guitars. His wish was to make exacting replicas of 1927 era Weissenborns. 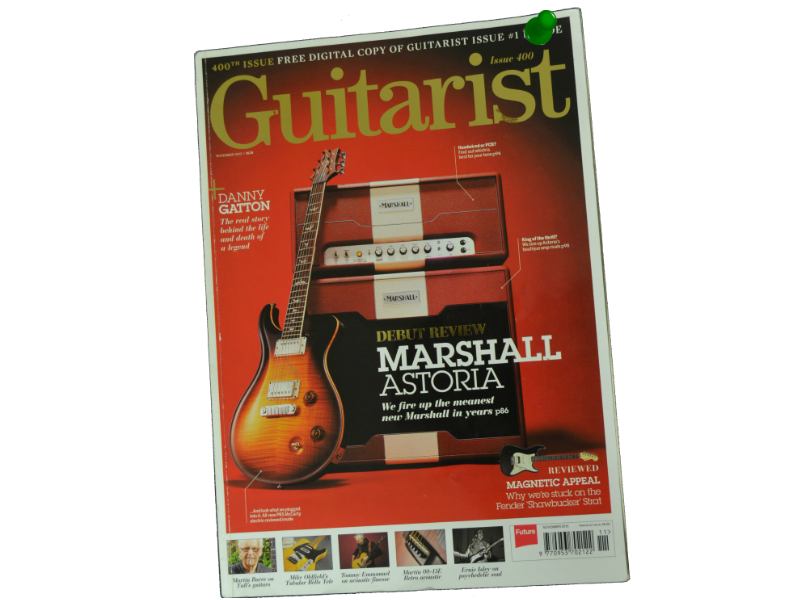 Here is Ed and I with a workshop article in the 400th edition of Guitarist magazine. 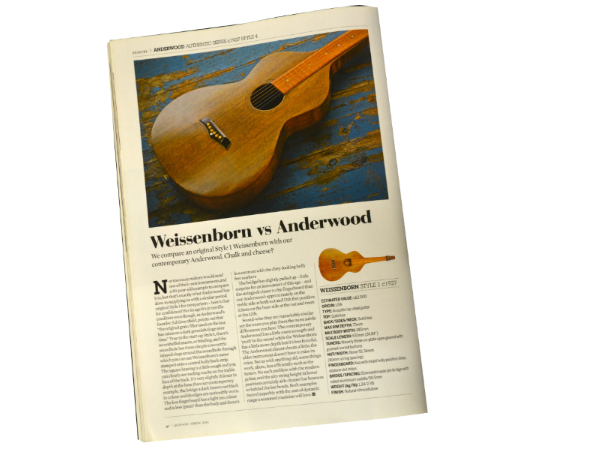 A video made by guitarist magazine to demonstrate a style 3 Weissenborn built here for Anderwood and played beautifully by Rob Antonello. 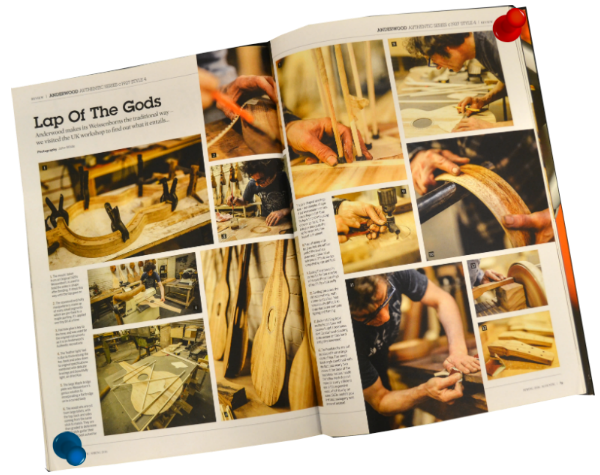 Martin came by the workshop to pick out some timber and show me some instruments which he favoured most. He left this short video behind. Martin playing the instrument that was comissioned. 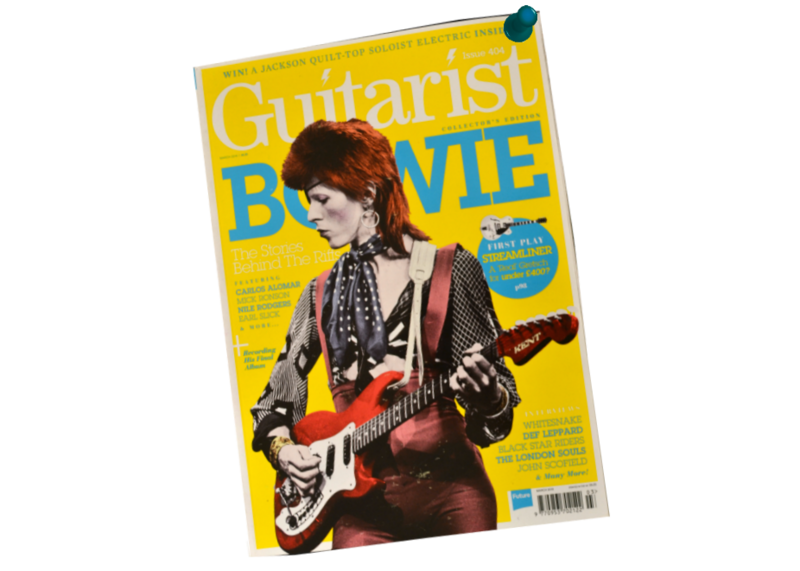 One of my outlets has been through the hobgoblin chain of folk music shops in the UK. 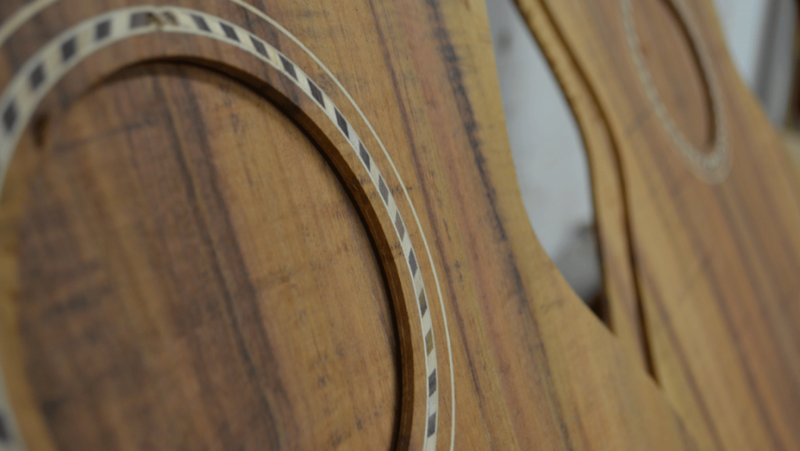 Here is a short video they made in the shop, with one of my 10 string mandolins. Ade Edmondson playing going underground by the jam with his octave mandolin. The instrument in the second half I'm fairly sure is by Paul Hathaway. I met Shaun " The captain" some time ago. Murry and Tony I met working with the music room. I just love what they are doing with this. 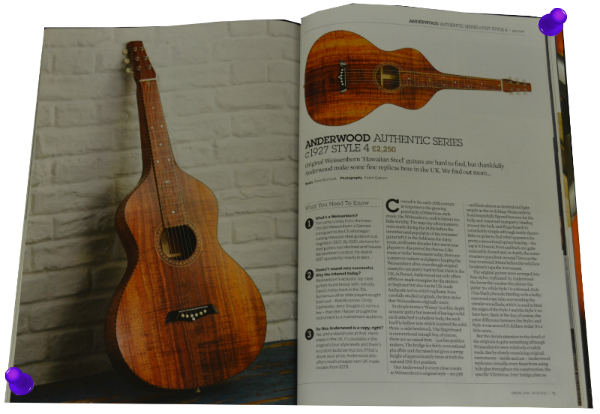 There were some really nice reviews for the Anderwood authentic Weissenborn. 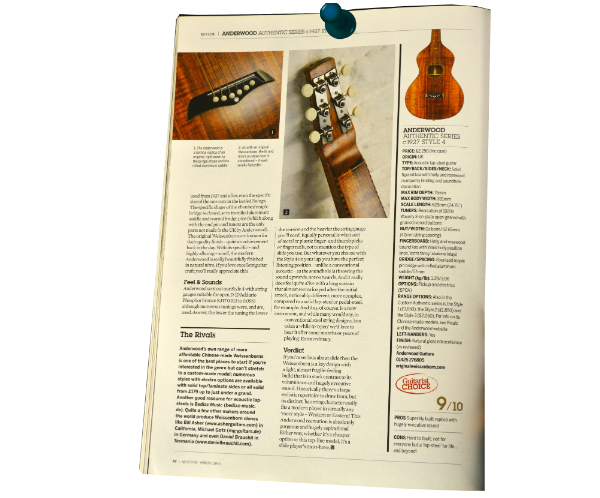 Guitarist mag gave us 9/10 and listed us in gear of the year. 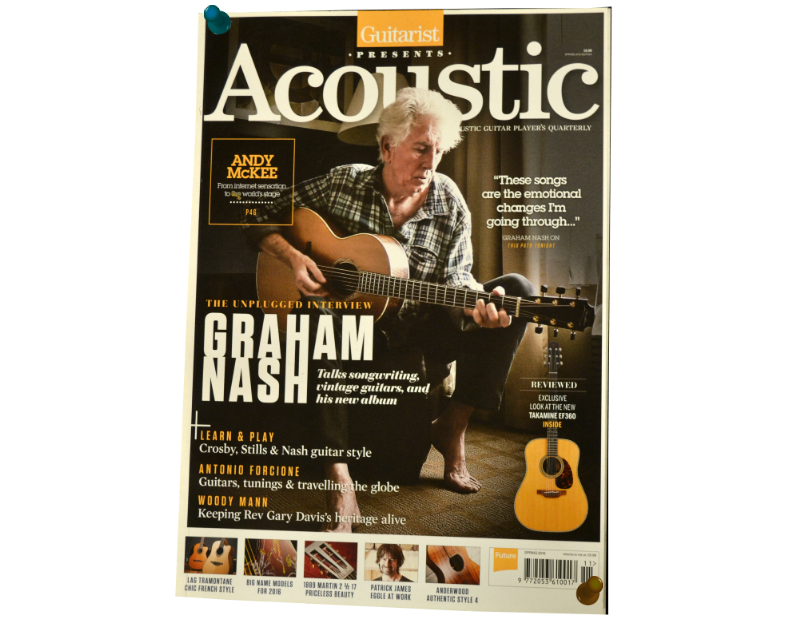 There was also a really nice article in Acoustic mag. A demo vid for the Anderwood electric Weissenborn by Wille Edwards front man with Wille and the Bandits. Saw them live in Leeds, they are a great bunch of guys and so talented. Wille knew what he wanted when we met up. All I had to do was build it and make it work. I sent this instrument to Stefano in Italy. It was nice to find this vid of him playing in the kitchen on youtube.